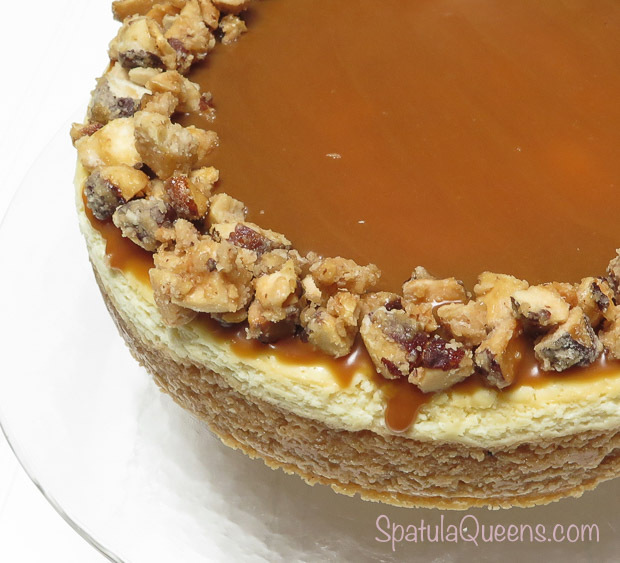 I didn’t set out to make a cheesecake with candied Brazil nuts and sea salt caramel – it just sort of evolved. 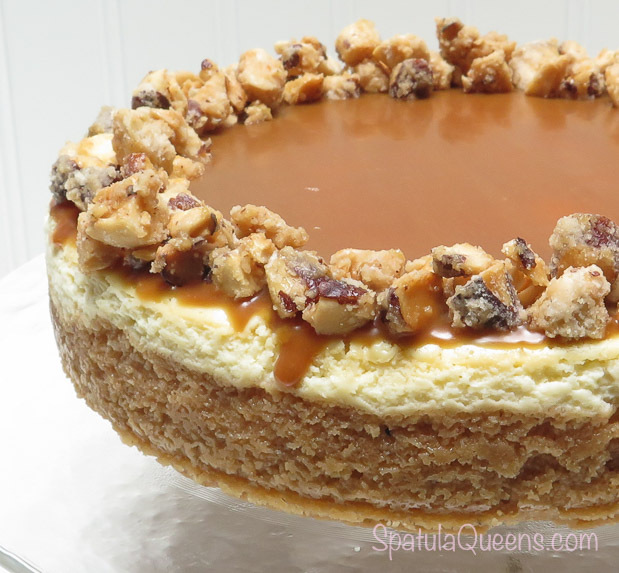 While assembling ingredients for our Dense and Creamy Vanilla Cheesecake, I realized that the only thing I had to use for the crust were some Brazil nut shortbread cookies I had squirreled away in the freezer – you know, for a dessert emergency. See my note at end of this post about how to make this shortbread – make it for yourself and you’ll understand why I keep some stashed in the freezer. 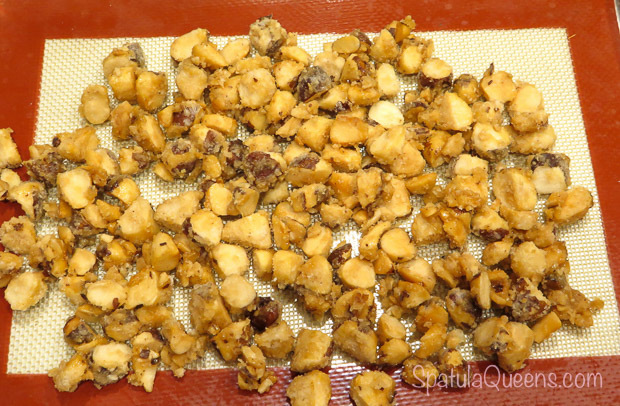 Anyway, when I was digging around for the shortbread, I pulled out half a bag of Brazil nuts. 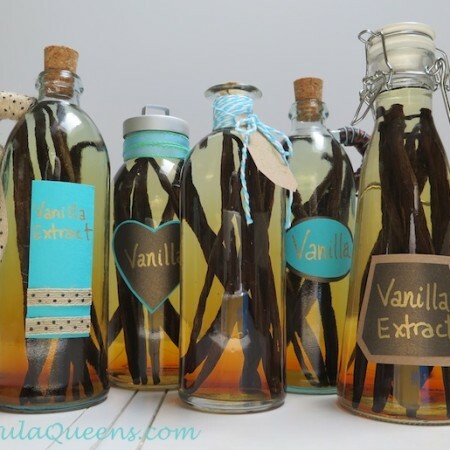 Good – I’ll garnish with these to balance out the nuts in the shortbread crust. 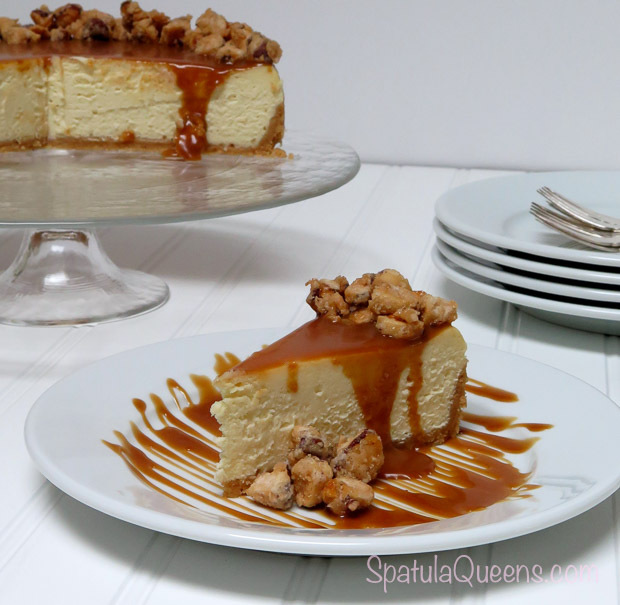 But plain cheesecake with Brazil nuts sprinkled on top just seemed too…plain. 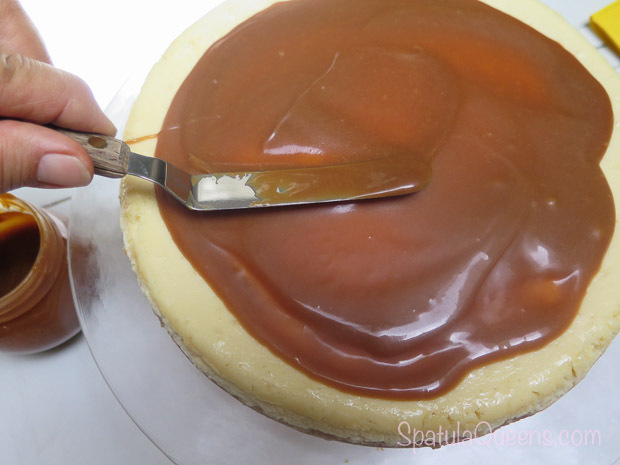 This might be a good time to use the jar of sea salt caramel we brought home from France. 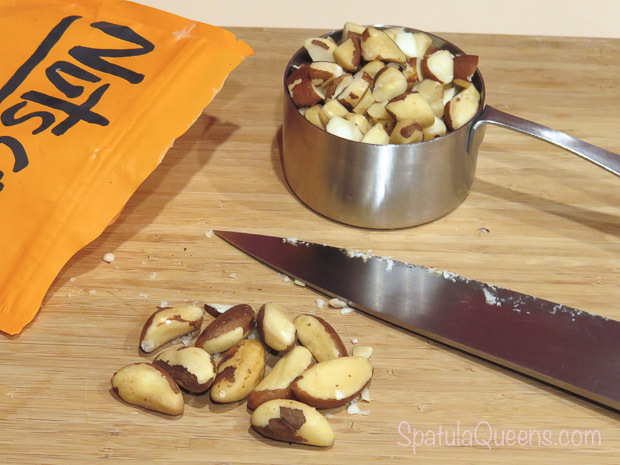 But now the Brazil nuts seemed too plain. 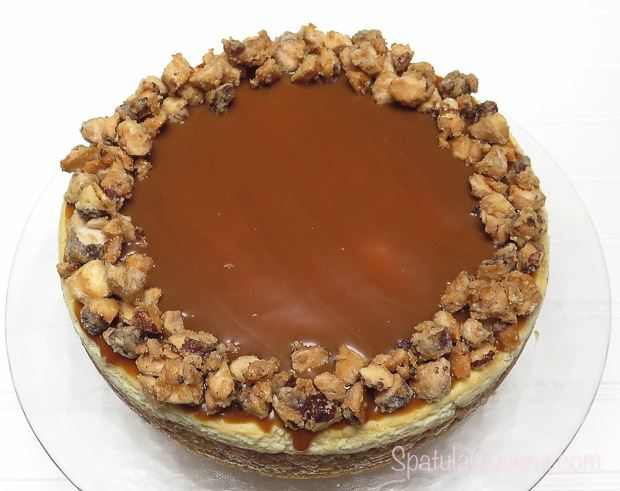 I needed to think quickly – the caramel was dripping over the side of the cheesecake and my mom the cheesecake hound, who was invited over with the promise of dessert, was circling the kitchen and had already put the kettle on for tea. 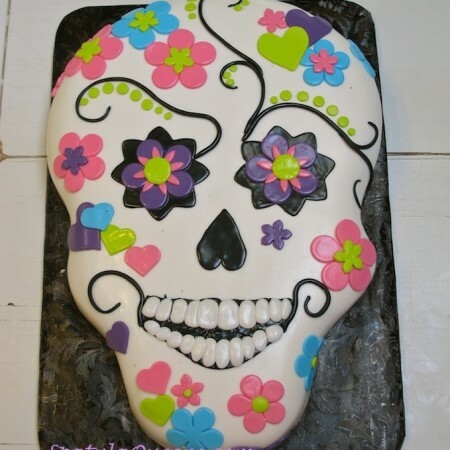 The sugar will dry out and get crusty, but don’t freak out like I did the first time I made this with peanuts. 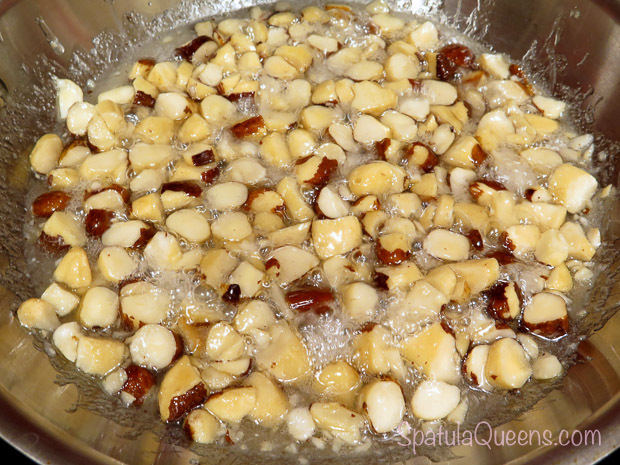 Keep stirring to allow the now melting sugar to coat the nuts. 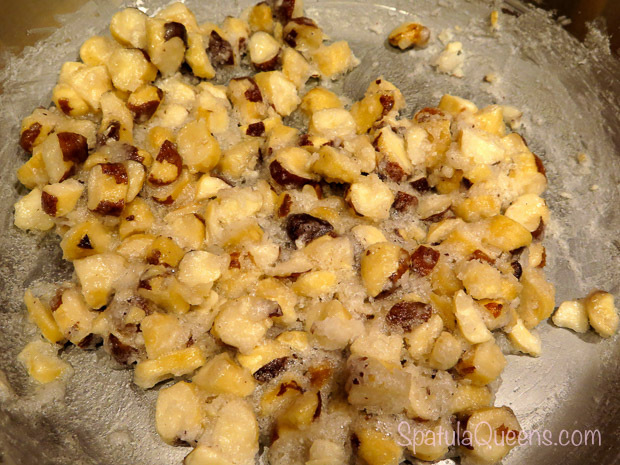 Since I had already cut the nuts up for garnish, it only took about ten minutes to candy them. 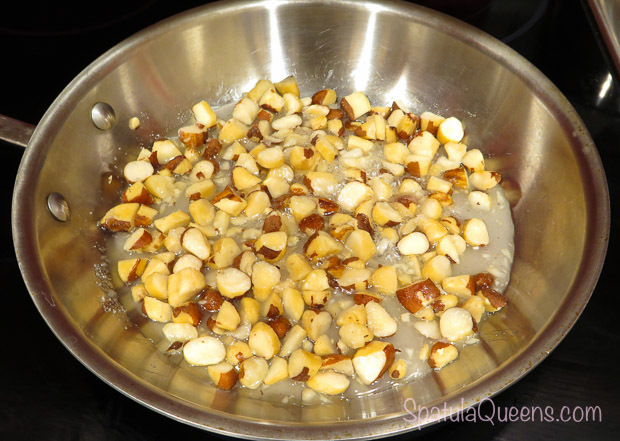 I turned the pan-roasted, candied Brazil nuts onto a silicone baking mat to cool – but not for too long – Mom was waiting. 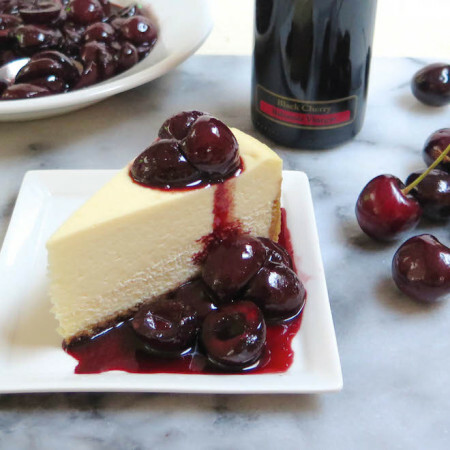 This is a really, really good way to dress up a plain vanilla cheesecake. 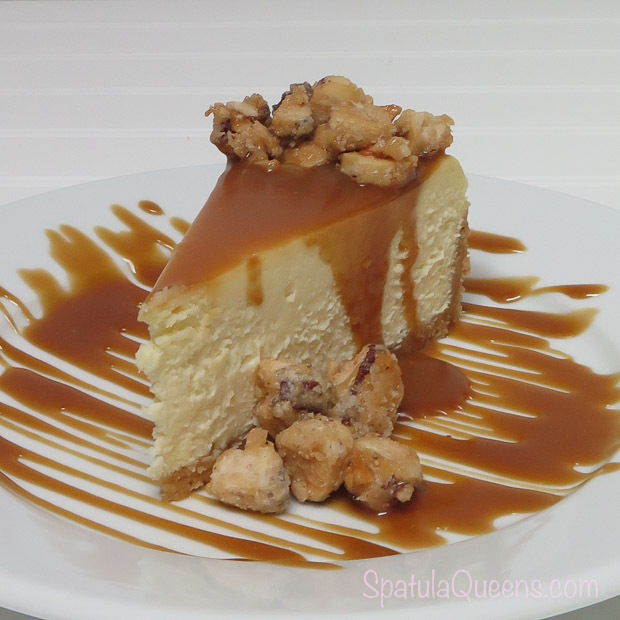 Vanilla cheesecake topped with sea salt caramel and candied brazil nuts – yummy!